Kitchen Renovation Ideas Which Will Blow Your Mind! For many of us, the idea behind a home and having our personalized space and groove is indisputably linked to having access to our own kitchen. A service and task from your daily routine which hotels and resorts pride themselves in taking care of for you, there is still a joy in waking up to your own perfectly made cup of tea and eggs. In fact, it has become a space of coming together, from homes that cater to large families with grandparents and children to even bachelor pads for the studying and working young adults. The lack of time that a working mother of two or a student cramming late nights at the library can give to the kitchen has not necessarily cut down on the use of it. 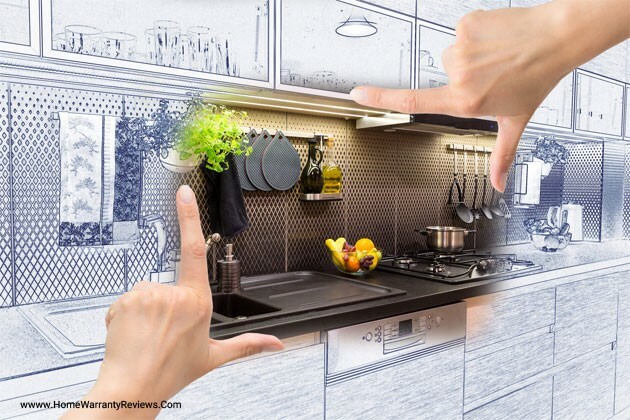 Instead, the focus has become how to renovate and modify a kitchen in the best possible way, how to make multitasking a possibility and how best to utilize the space at hand it make tasks both quick and fun. Efficiency supersedes all else, closely followed by cooking as a community activity – making open kitchens the top trend of the twenty-first century. When starting work on a brand new kitchen or renovating an old one, getting down on paper (and even just feeding in quick pointers on phone apps like Evernote, Google Keep, and Wunderlist), a clear idea of its layout and maximizing the space utilization is the first step. Even though each individual’s usage of a kitchen is subjective, the primary modes of functioning do remain the same. If a kitchen renovation and remodel is in the books for the near future, there is little doubt that the words ‘Golden Triangle’ have come your way. A technique that is often used by interior designers and architects as the starting point for drawing out plans, the concept of the kitchen work triangle has a lot of subjective routes you can choose to take, best suited for your needs. The plan fundamentally starts with the placement of three key elements and their positioning – the cooktop, the sink and wash area, and the refrigerator. As efficiency takes the front seat, it’s ideal to be able to reach one from the other without any obstructions. The distance between any two appliances should be more than 4 feet long and less than 9 feet long, making them both accessible and yet not hazardously close to one another. When added up, the perimeter of the triangle should be no less than 13ft and no more than 26 feet. Movement, traffic flow and access inside the triangle should be minimum, helping you guard against any accidents. Other storage cabinets, platforms, and appliances even in the periphery of the kitchen shouldn’t extend any more than a foot into the space of the triangle. Why the Triangle at all? Why should a rule established almost a century ago still hold value in today’s changing view of a home and kitchen? Well, for starters, the rules are all about simple space and design and are built to accommodate key kitchen appliances efficiently. Secondly, the rule has been modified by designers along the way to accommodate for newer additions to the kitchen – microwaves, ovens, mixers, dishwashers and even coffee makers for example. A key addition has been the addition of a second triangle, creating a secondary layout for appliances that are used less than the cooktop and sink but are essential to daily routines. The second triangle accommodates for a dishwasher and dryer, microwave and one often used plug-in appliance. Try and narrow down the issues you face in your present kitchen format. A spill when you move a hot pot of stew to the side to cool off or draining spaghetti in a sink that is too far. Look at the little things, the cupboard corner that you stub your toe on every so often or the burnt butter before you reach for seasoning from your refrigerator. Though planning is a part of the cooking process, a pre-planned kitchen layout can shorten the entire procedure. If it’s a remodel you are working towards, a good way to start is by assessing the present kitchen triangle and its shortcomings. Measure it through and see if it serves its purpose. Each kitchen layout and size will call for a different triangle, but it is key that nothing intersects or protrudes and the lines remain clear and accessible from all sides. Even a trash can or breakfast island and stools can be a major obstruction even if they are slightly out of place. Look at the Golden Triangle as less of a rule and more of a guide or suggestion. Feel free to make changes, especially in a way to suit the space you are working with. In fact, many studio apartments have kitchens set up on single walls, making triangles impossible and yet making accessibility and measurements key. Outside of the triangle or its semblance, a few simple pointers of putting the dishwasher next to the sink, cooktop utensils close to the stove and serving dishes and cutlery closer to the table can create a balance between tasks. Splitting the actual cooking from the serving and consequent clean up can help declutter the space. Besides the efficiency of usage, safety plays a large part in how a kitchen is designed as well. Regulations have been set down regarding minimal requirements for distances between cooktops, ovens and sinks, as well as for ventilation and windows and where they should be placed. The stove and oven have to be placed at a distance of at least 2 feet from the sink, with a distance of 2 feet 6 inches above it for ventilation. Ideally, the main door and cabinet doors shouldn’t open onto the cooktop either. As a precaution for fire, a chimney above a cooktop is great but a window can be counterproductive. Air blowing in can extinguish the existing flame and cause an unidentified gas leak, as well as blow a large flame and cause other objects to catch fire. As an extension to your renovation plans, a kitchen’s functionality depends on its appliances to a great extent. That being said, maintenance of appliances can be a hard thing to keep track off, and the prices do tend to increase with time. Whether you plan on retaining old appliances or purchasing new ones, a Home Warranty as an extension to the existing warranty of the appliances is a good idea. While insurance covers unforeseen circumstances, Home Warranty looks at daily wear and tear of systems and appliances of the house, allowing you to claim repairs and replacements when required. In fact, most companies provide you with repairmen as well, cutting your involvement to a very small percentage both in terms of time and expenditure. If you aren’t sure about investing in a warranty, HomeWarrantyReviews.com gives you access to a simple Home Maintenance Calculator. Feed in information about your home and in under a minute you’ll have estimates of maintenance costs down the years with and without a Home Warranty in place. Next Post:Getting Ready for Kitchen Renovation – What to do Before the Hammer Hits?